During this thankful this season — I raise a glass of this sensational Cable Car Cocktail and toast all of you! 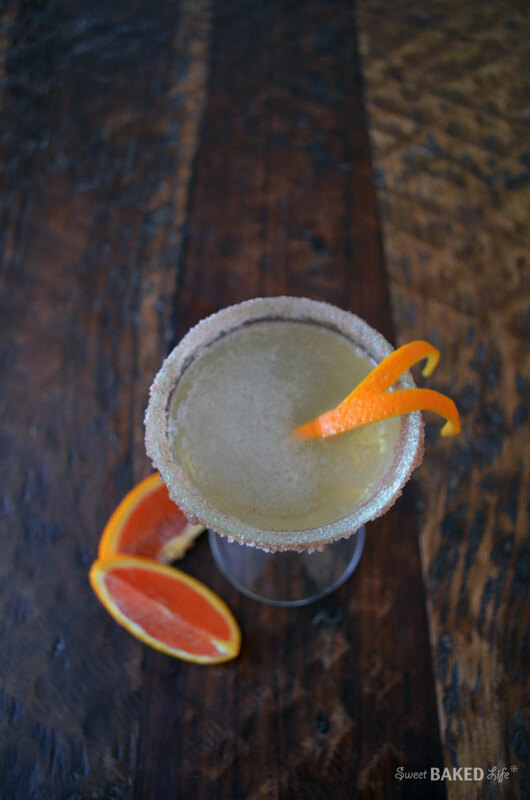 Hopefully, as the unique flavor combination of rum, orange and cinnamon slides over your taste buds, warm and wonderful memories will fill your head with overwhelming happy times with friends and family. Because, for me it does. Really, once my lips dip into this delightful drink my thoughts take me directly back to that beautiful City by the Bay where this incredible libation was created. I can hear the familiar sounds…clang, clang, clang of the old trolley cars as they rattle along the tracks and the seagulls cry as they soar over the beaches. I love these sounds as they are from one of my favorite places, San Francisco of course! And this sophisticated Cable Car Cocktail will make you want to take a little trip to cross the Golden Gate Bridge and create all new memories! You see I grew up in the San Francisco Bay Area about 20 miles south of the city. Both of my parents were born in San Francisco and our family would spend many a holiday in the beautiful, diverse and exciting city. When I was young, my mom would take my brothers and me to San Francisco every summer. We played tourist and visited every fun and interesting location each year over and over again. I never got tired of this ritual. And over the years it provided me with not only great learning experiences, but unforgettable family bonding. As I got older, I would visit the City often for delicious dinners, incredible drinks, unending entertainment, great concerts, fascinating museum exhibits, magical weddings, and of course romantic dates! Even though I am now only a few hours away from this great place, it seems like a lifetime. I hope to visit this special city soon with my little family and continue making lasting memories. Place martini style glasses in freezer to chill. Stir sugar and cinnamon together on a small plate to blend. Rub the rims of the chilled glasses with the orange wedge. Dip the rims into cinnamon sugar mixture to coat lightly. Combine ice, rum, orange juice, Curacao, and simple syrup into a cocktail shaker. Shake mixture until cocktail shaker becomes frosty. Strain mixture into prepared glasses. Garnish with orange peel twists and serve. So to all of my friends, family, followers and fellow bloggers — thank you for being in my life and for being loving and supportive. I now celebrate you with this refreshing and memorable Cable Car Cocktail. Oh my goodness. I need this in my face RIGHT NOW. 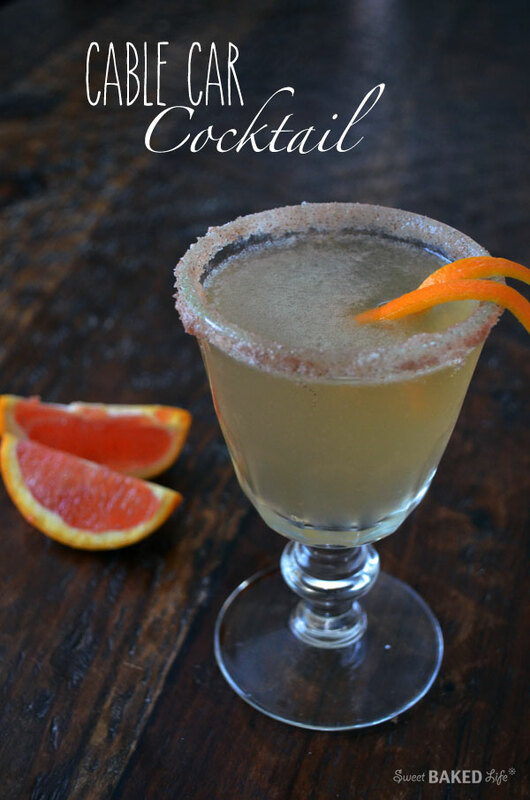 I love citrus in cocktails. I hear ya! I could use one right about now too!! !